These are the attributes I capitalize on to provide you with exceptionally competent and professional service for your real estate needs. 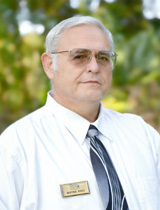 My experience includes almost ten years with CENTURY 21 Nature Coast making sales and managing rental property. My 25 years of local public service has provided me with tools helpful in real estate. My formal education includes a Bachelor of the Arts Degree from St. Leo University and a Master of Science Degree from the University of Central Florida. I use unique high-tech solutions to streamline buyer-seller negotiations and marketing that is talored to the customers needs and comfort level. with the hometown advantage, assures you the best of service.